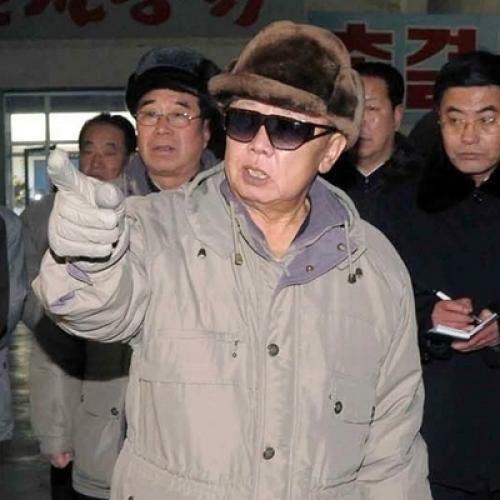 Kim Jong Il hates Japan, and Turkmenistan praises melons. “Today in Despotism” began to run in TNR Online in 2005. The idea was to provide an overview of goings-on in tyrannical countries around the world. The news items were drawn solely from the state-run or state-approved publications of the respective outposts. The column ceased to run in 2006, when the Bush administration managed to eradicate despotism worldwide. Or possibly it was that the author no longer had time. Now, in 2011, “Today in Despotism” is back, and TNR readers can finally stay properly informed. The selection of despotic nations will not be the same in each installment, but North Korea will never, ever be omitted. And, with that, the news: The outposts of tyranny have enjoyed a tranquil few weeks, with only minimal aggravation by incompetents, sycophants, or imperialists. After all, it was Christmas. One exception was Tunisia; however, the Tunisian news agency, Tunis-Afrique Presse, has been out of commission for the past while. The goings-on in that location must therefore remain a mystery. The entire people are duty-bound to safeguard the motherland through the might of national unity for ensuring non-disintegration of the Union, non-disintegration of national solidarity and perpetuation of sovereignty, while keeping a watchful eye on attempts of neocolonialists to harm the sovereignty of the country. The entire people have to bear in mind the historical background of independence struggles forever and will have to continue to safeguard the motherland for ensuring perpetuity of the nation and sovereignty. Senior General Than Shwe likewise makes the front page above the fold of the January 4 edition of the New Light—oh, all right, that’s enough. The rest of us have to move on, even if Burma won’t. The percentage of ballots cast for me is quite good, President of Belarus Alexander Lukashenko told a press conference for Belarusian and foreign media on 20 December. President Gurbanguly Berdimuhamedov dismissed Yusup Davudov from the post of Minister of Power Engineering and Industry, Jumadurdy Kakaliev from the post of Minister of Construction and Construction Materials Industry, and Ashirgeldi Zamanov from the post of Minister of Automobile Transport and Motor Roads for incompliance with official responsibilities. The book describes 430 varieties of Turkmen melons, 61 varieties of water melons and pumpkins, the national heritage and pride of the Turkmen people. Let’s see how proud you are when you’ve seen the work of Jerry Fetty at www.giantpumpkins.com. Zimbabwe has been through some rough patches lately, but 2011 is looking very, very bright. With any luck, they’ll take over U.S. Airways. One is bound to die a dry death if one enforces a sycophantic policy towards the U.S., quite contrary to the people's mind-set. This is a bitter lesson drawn from the history of Japanese politics devoid of independence. Entering a cosy bedroom, he told officials accompanying him to rearrange the beds. He said if the bedsides were placed by the window, seamen could not avoid cold wind from window. He also said the bed should be rearranged so that they could see the sky above the homeland, not a wall of the bedroom, after opening their eyes in the morning. Kim also added several throw pillows to soften the edges. Finally, technological progress marches on in the Democratic People’s Republic, as is reported in the story “DPRK ATTACHES IMPORTANCE TO BREAKING THROUGH CUTTING EDGE.” KCNA writes, “It is an idea of the Workers' Party of Korea that all sectors should, on the basis of experience of having secured supremacy in the CNC technology, surpass in the shortest time the scientific and technical standards the world has reached and take the lead in the age of IT-based economy.” All that’s needed for that to happen are some computers and, ideally, electrical power.